Okay, well… half a Tesla. 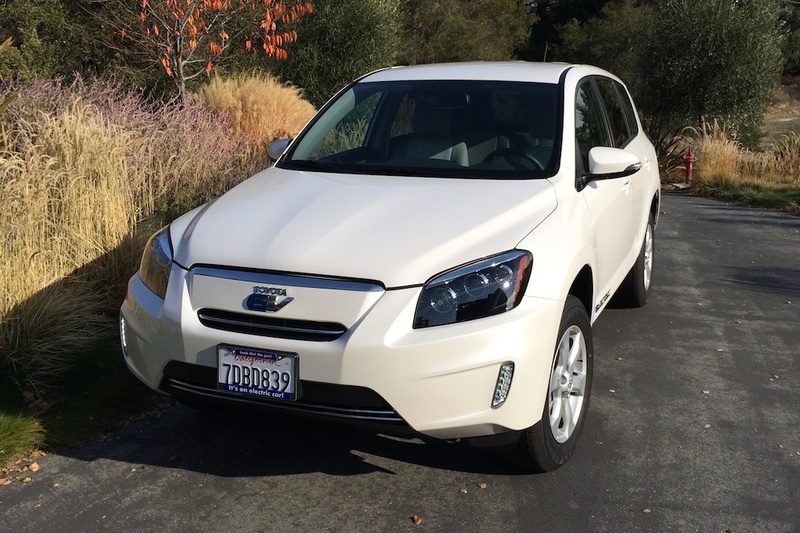 ;-) Tesla Motors supplies the battery and drivetrain for this vehicle, Toyota’s second generation RAV4 EV. Hey, but it’s shiny! And fast! And it goes much further on a charge than my 2011 Nissan LEAF: folks say they get 120+ miles even at highway speeds. This will be much more convenient since I currently give up half my range in my LEAF whenever I want to make a round trip over the hill from Santa Cruz. And it has a 10 kW charger on board as compared to my old LEAF’s 3.3 kW (or 6.6 kW in 2013 or newer LEAFs). Unfortunately Toyota chose not to include support for any DC fast charging. Or, as another example one month later, to drive the 95 miles to Fairfax at 70-75 mph (two passengers, two bikes and gear on board) and have 25+ miles of margin leftover. Then plug in at a public charge station while out for a mountain bike ride and a meal and be fully charged for the return trip. And using the heater all the way back seemed to only affect the range by about 10% – still plenty of charge leftover after getting home. It’s so sweet to be able to easily make a 190 mile day trip without needing to burn any gas! Looking forward to the clearer air as these gradually supplant most of those silly, old-fashioned internal combustion engines! All this brings the cost down to the mid-30’s before taxes – cheap compared to Tesla Model S, but still expensive compared to Nissan LEAF. But when you also take into account that there is no gas to buy or oil changes or regular engine maintenance, any pure EV becomes even more enticing. 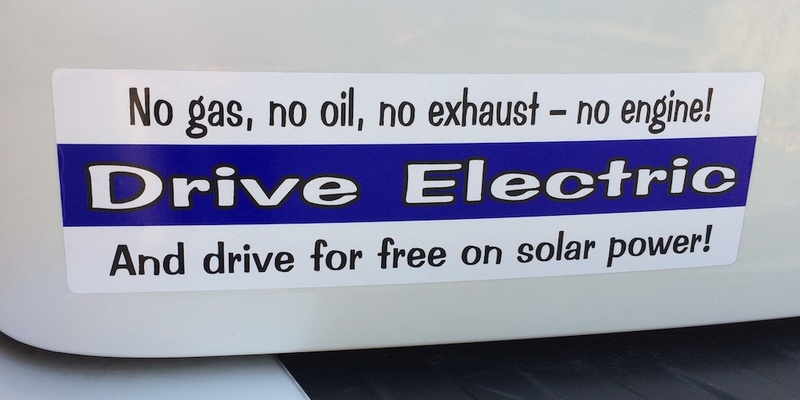 Driving around without ever needing to burn gas and on power generated or offset by your own solar panels is a lot of fun! Of course, the LEAF has all these EV advantages too and it is both a much more affordable and a more efficient vehicle. As for the Tesla Model S, it is a beautiful car but it’s way too big for my tastes. Ideally, I’d like a reasonably-sized, sport-performance, four door hatchback with AWD (for traveling in the Sierra winter). Something like my old Audi A3, but all electric! (And maybe a little bigger.) The LEAF is a good size and is fun to drive (all electric torque!) but this RAV4 will let me go further (and faster) while I wait for something more ideal. But yes, this does mean I will be selling my cute little red LEAF… awww…. Update: I have the Tesla charging cord now (modified Tesla UMC). Seems well built and it has a hefty, secure-looking wall plug. And I can now gain somewhere around 30 miles of charge back per hour. Woot! Hardly necessary for overnight recharging, but handy when topping off between day trips! 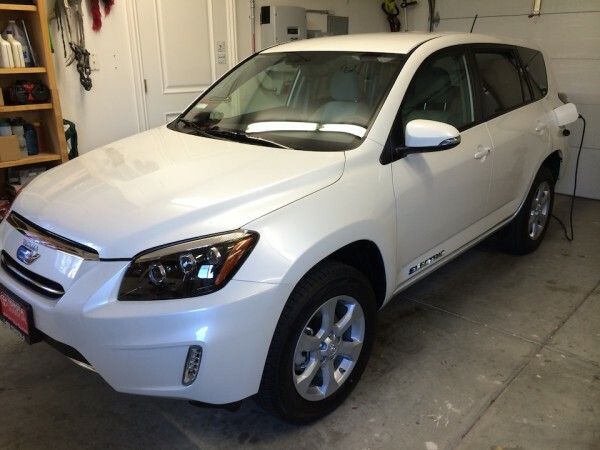 Congrats on your new RAV EV. The Tesla charge kit comes with a J1772 adapter and on the power end you can plug into a NEMA-50 – which can supply up to 240V/40A. 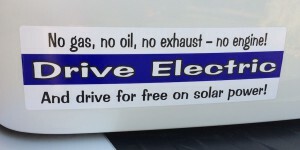 I hope the RAV EV inverters can handle that power. It should if it can handle standard 30A J1772. Yeah, that’s what I’m doing. My modified Tesla charge cord will be coming this week and I’ve got a NEMA 14-50 outlet waiting for it! It should be able to handle it since it has the same Tesla 10kw charger/inverter on board! Yeah, I’m looking forward to the self-driving tech – even though, as a software engineer, I’m nervous about how much they have to get right! really great how EVs are now repeating the early history of the PC days . . . back when we had 4~16K we were happy enough, then the 48K-64K machines came out and things were even better! 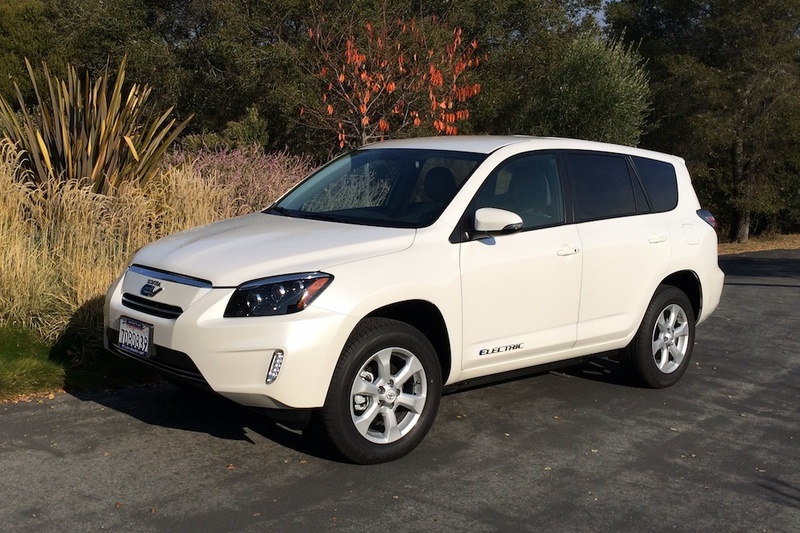 Reading the wikipedia article on RAV4 EV, I was reminded that Toyota was an early pioneer of EV, but big bad evil Chevron bought their battery maker and then deep-sixed the entire technology!